This year, I have resolved to do a much better job at the interactive notebook in Algebra 2 than last year. Last year, we had 12 students in my entire school who were enrolled in Algebra 2. This year, that number is just under 40. This is both exciting and kinda terrifying. First of all, it means that more students are prepared and willing to take Algebra 2. At the same time, my Algebra 2 students this year are greater in number and much more varied in level. This presents many challenges. But, these are challenges I am excited to attempt to meet. Our first unit in Algebra 2 is an introduction to functions, function notation, domain and range, intercepts, maximums and minimums, intervals of increasing and decreasing, finding solutions, and transformations. My goal is to create a foundation which I can build off of once we start linear functions. I am also working hard to prove to my students that they are capable of doing Algebra 2 level work. Many of my students have extremely low confidence. We are also learning how to use the graphing calculator. This is the first experience any of my students have had with a graphing calculator, and I am working hard to make it a positive one. So far, my Algebra 2 students are loving our interactive notebooks. They thank me on an (almost) daily basis for making Algebra 2 visual, fun, and easy. I have some students who are complaining right now that Algebra 2 is too easy. I told them that they just had to wait. Before they knew it, we would be exploring logarithms, exponentials, conic sections, and all kinds of other exciting mathematical relations. After going on and on about how excited I was about everything we were going to be learning and studying this year, one student asked, "Do you like math?" I was a bit taken aback by this question. Are there math teachers who don't like math? Of course, I like math. I love math! I eat, breath, and sleep math. You'll notice that I love printing my foldables on colored paper. I think that notes taken on colored paper are just more memorable than notes taken on plain, white copy paper. My students often remember which page in their notebooks they need to reference by what color the foldable was printed on. 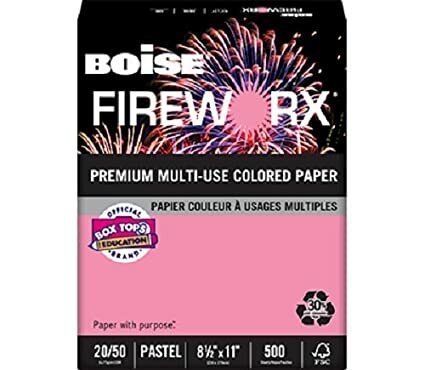 The paper I use the most is Fireworx brand colored paper. It's available from Amazon, comes in loads of colors, and is priced very reasonably. Astrobrights paper makes for the prettiest, brightest foldables, but it's a bit more pricey. So, I save it for printing posters. I have already blogged about the NAGS foldable I had my Algebra 2 students create here. I still haven't found a better way to practice differentiating between function/not a function than this card sort. I blogged about this last year. We also created a Frayer Model for the word "function." I stole this coordinate plane foldable from Ms. Haley and her wonder Journal Wizard blog! I think this is a big improvement over the coordinate plane foldable I did with my students last year. I created a template for this foldable which I have linked to at the end of this post. Last year, my students had a TERRIBLE time remembering the difference between domain and range. This summer, at the amazing Common Core Training I received from the Oklahoma Geometry and Algebra Project (OGAP), I was introduced to an amazing resource--Shmoop. They have amazing commentary for each and every high school common core math standard! I learned about the DIXROY acronym from their commentary on F-IF.1. DIXROY stands for "Domain - Inputs - X-Coordinates and Range - Outputs - Y-Coordinates." I was able to re-use the domain/range notation foldable that I created last year for my Algebra 2 students. My students were VERY confused by the different notations. I haven't yet figured out a way to introduce these notations without overwhelming my students. They recovered, eventually. I downloaded the domain and range cards from this blog post. There are 32 cards which give my students 32 opportunities to practice finding the domain and range! We made a tiny envelope to hold our 32 cards. Let me just say - having the students cut out all 32 cards took WAY too much time. I was about ready to pull my hair out. I think we might of spent half of a fifty minute class period just cutting these cards out. But, we used them a lot, so I think it was worth it. I LOVED the envelope template that Kathryn (iisanumber.blogspot.com) posted earlier this summer. I downsized her template to the exact size needed to fit the domain and range cards I linked to earlier. Then, I took inspiration once again from Ms. Haley at Journal Wizard. She had her students create an interactive domain and range finder foldable. As you can see, this foldable perfectly holds the domain and range practice cards from our handy-dandy envelope! The foldable is made to perfectly hold our domain and range practice cards that are housed in the envelope. Students fold over the domain tabs to help them determine the left-most and right-most points on the graph. If the graph goes approaches negative or positive infinity, the students leave the flap open where it reads positive or negative infinity. I wanted my treatment of domain and range to be much more hands-on this year, and I think this foldable does the trick! After doing many, many cards together, I had students find the domain and range of all 32 cards as homework. They had to write the domain and range in both interval and algebraic notation. (And, the discrete graphs had to have their domain written in set notation.) The next day, I gave them an answer key to use the check their work. One of the main thing my students need to be able to do on their Algebra 2 EOI is to describe graphs. This foldable is an attempt to introduce my students to the concepts of x-intercepts, y-intercepts, relative maximums, relative minimums, increasing intervals, decreasing intervals, roots, solutions, and zeros. Because there is so much information on this one foldable, this was a perfect opportunity to use COLOR WITH A PURPOSE. Each term was marked with a different color. And the corresponding part of the graph was marked with the same color. This is one of my favorite foldables that we have done this year! AKA - Proof I LOVE color-coding! I've posted some close-ups of the flaps if you'd like to see what I had my students write. Last year, my Algebra 2 students really struggled with the concept of an inverse. So, this year, I decided to start talking about inverses very early in the school year. This will allow us to revisit the concept over and over as we explore different types of function in a much more in depth manner. By the time the EOI rolls around, my students should no longer be scared when they see the word inverse! This foldable was inspired by @druinok's post from February. I want my students to be able to find the inverse if they are given a set of points, a graph, or an equation. Since we have only just started exploring functions in general, the examples we went through were quite simplistic. We will explore much more complicated inverses as the year progresses! A lot of my students were terrified when I told them that we would be learning about inverses. By the end of the lesson, they were amazed that inverses were actually quite easy. Inverse of a Function - Important Fact! I'm so excited to share with you what my students' interactive notebooks consist of thus far! Link to download the files is at the end of the post. Hope these can be of some use to you! The Kagan curriculum I am using focuses on having students develop their own definitions for the vocabulary words for each unit. This is an entirely new approach to me. I'm used to just giving the students the definition and having them write it down. I'm kinda obsessed with the Frayer Model. I'm enjoying the approach, however, of having students examine examples and counterexamples to determine what a word means for themselves. Time will tell if this leads to a higher level of understanding and recall. The first lesson of the year focused on what a good definition consists of. Our three requirements for a good definition were: 1) states the term, 2) states the nearest classification, and 3) states those items that make it unique. We practiced a lot with this. I used some examples provided in the book to give my students the opportunity to practice writing a definition that had absolutely nothing to do with mathematics. Students were given a minute or two to examine the zingers and thingmabobs. Then, each student wrote their own definition based on the examples and counterexamples. Next, each person in the group shared their definition with the rest of the group. Each group discussed everybody's definition and combined the best parts of each definition into one group definition. Finally, we discussed the group definitions as a class and wrote one class definition. The process is very time consuming. But, it produces AMAZING discussions. So, I think it's worth it. Since I used images from this book, I cannot post these files to download. If you are interested in these resources, you may purchase the book here. My students repeated this process for our 10 vocabulary words for unit 1. They completed the "My Definition" section as homework. And, the entire next class period was spent creating group and class definitions. These were formatted as two book-type foldables that students glued in their interactive notebooks. I love that these foldables capture the process that students went through to write their own definition. We summarized the real number system using the graphic organizer that I created last year. It felt good to be able to reuse something from last year instead of creating something entirely new from scratch! This is a picture of a foldable that I created for my students to use as they walked through an exploration activity. This activity did not go as planned. I thought it would take one class period. After one class period, we had only started to scratch the surface. I ended up never finishing this activity with my students because I felt a need to move on. Still, I want to share this activity with you in the hopes that someone might be inspired to take this and make it better or at least give me insight on why it didn't quite work. This activity was created with N-RN.3 (3. Explain why the sum or product of two rational numbers is rational; that the sum of a rational number and an irrational number is irrational; and that the product of a nonzero rational number and an irrational number is irrational.) in mind. I had some blank sticker name badges in my desk. So, I took a Sharpie and wrote various rational and irrational numbers on each name badge. As students came in the classroom, they got to pick a random number from the pile. After a brief introduction to the TI-30 Scientific Calculator, students were instructed to partner up and fill out the first line of this chart. They would fill in their number, the classification of their number (rational or irrational), their partner's number, their partner's number's classification, and the operation of addition. Using the scientific calculator, students would add the two numbers together, record the result, and then determine whether the result was rational or irrational. Find a new partner. Repeat until the first five lines have been filled in. After completing five addition operations, we would have a class discussion. I was hoping that students would arrive at the fact (on their own) that a rational plus a rational is always rational, an irrational plus a rational is always irrational, etc. This went semi-well. Some of my classes struggled with this way more than others. None of my classes made it to division. One class barely made it through subtraction. What I didn't account for was the sheer amount of time that it took for my students to partner up, do the calculations, and fill out this chart. This ended up feeling like an entire waste of a class period because it was a lot of work with very little to show for it. I ended up doing most of the talking and discovering during our discovery period which was frustrating. I still want to put this idea out there, though. I think it's good to blog about the lessons that go well, the lessons that are just mediocre, and the lessons that don't go as planned. And, yes, I'm the crazy teacher who wore a sticker around ALL DAY that read 3/8. I put it on during first hour because I had an odd number of students. So, I actually went through the activity with my students. I didn't take off my sticker because I figured I would just have to make another one to wear for third hour and sixth hour. Third hour, we had a fire drill. Of course, I got asked by everyone I saw why I was wearing a number on my shirt. The math teacher definitely came out in my answer as I explained that I wasn't just wearing any number, but a rational number. Conversation ensued about what a rational number was. Yes, I'm that teacher who takes every opportunity possible to teach my kiddos something mathematical! Later that morning, we had our tornado drill. As the students huddled in the stairwell, the teachers stood in the hall. The history teacher looked at me and said, "So, you're less than half?" Confused, I asked her to repeat the question. "So, you're less than half?" Still confused, I decided that I would just agree with the history teacher and go on down the road even though I had no idea what she was talking about. Luckily, she motioned toward my sticker, and I realized that she was referring to the fraction I was proudly wearing. The other teachers in my building are used to my crazy methods that I use to teach math by now, so they weren't that surprised. After using two-colored counters to derive the rules for adding, subtracting, multiplying, and dividing integers, I had my students create a four-door foldable to summarize the results of their findings. Inside, we wrote the rules for each type of problem and included several examples of each for students to refer to. The last topic covered in Unit 1 was the order of operations. I did not follow the approach laid out in the Kagan curriculum for this topic. I attempted to adapt last year's interactive notebook set-up for this topic. But, I added new activities and songs as an attempt to reach students that I felt like I had not reached during our work with integer operations. I'm hoping that I will have time this weekend to create a post of the resources I used from other blogs to teach each major topic for this unit. Next year, I'd love to be able to come back and find the links of all the resources I used the previous year.